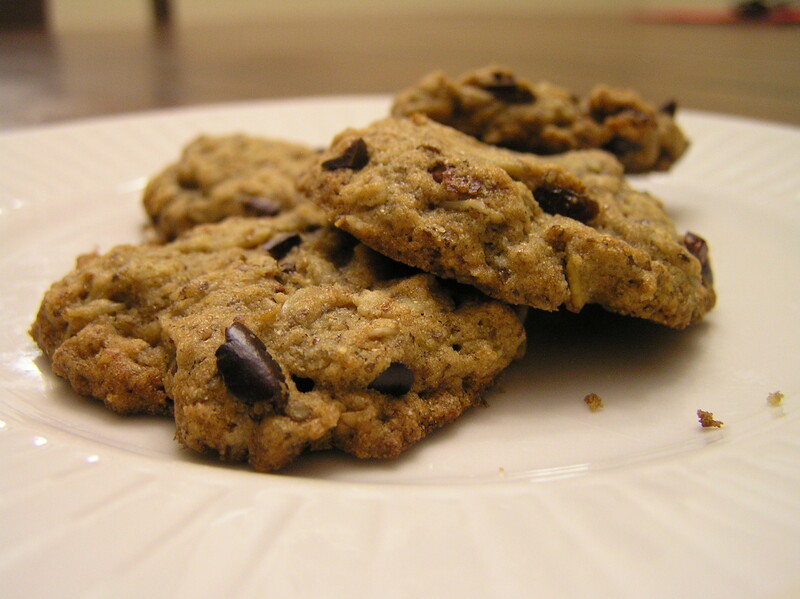 Been looking for a healthier version of these traditional favourite cookies? Look no further and try these out! In a small bowl, mix oats and ground flaxseed together. Add boiling water and vanilla extract. Mix and let sit for 10 minutes. In a large bowl mix coconut oil and maple syrup together. Add sorghum flour, baking soda and salt. Fold into oil mixture. Add oat mixture, raisins and cacao nibs and mix. Scoop about 1 tablespoon of dough onto prepared sheet. Place about 1/2 inch apart. Flatten with back of fork. Cook for about 15 minutes. Remove from oven and transfer to cooling rack. Enjoy!